Bulgaria is a county located in southern Europe. People have lived in the area that is now Bulgaria since pre-historic times. Up until the 18th century, there was not much difference between Bulgarian food and European food. Perhaps this was due to the fact that food was scarce and people ate what they could find. Whatever the reason, Bulgarians began to develop a unique cuisine during the latter part of the 18th century. 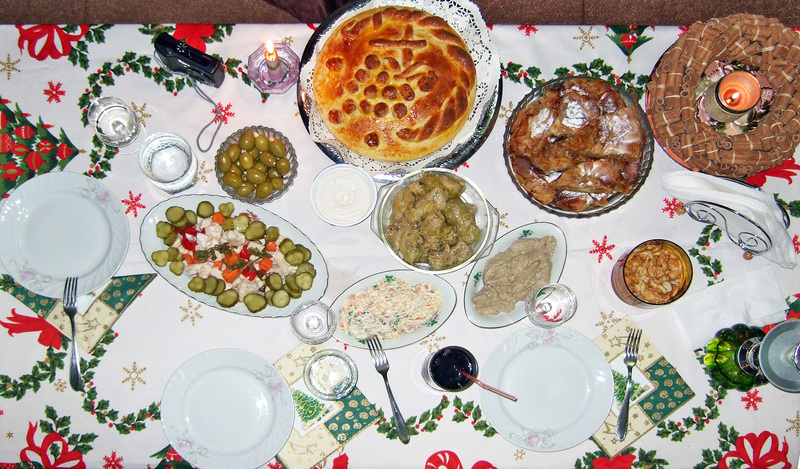 Today, Bulgarian food remains unique although some cuisine developed in the area is enjoyed worldwide. 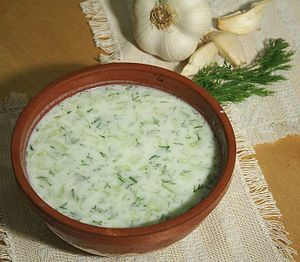 Yogurt is one Bulgarian dish that is enjoyed all over the world. Generally, yogurt is made using cow’s milk. However, it can be made using milk from sheep, goats, or buffalo. In fact, yogurt made from these types of milk has a better flavor than yogurt made using cow’s milk. In Bulgaria, parents feed yogurt to infants at around 3 months of age. People generally eat yogurt each day even into old age. Some joke that Bulgarians only stop eating yogurt when they die. Bulgarian feta cheese is sold in specialty shops in the United States. It can also be ordered online. Yellow cheese is usually eaten with crackers or along with a meal. Guests at local restaurants can expect tasty oven fresh bread and flavorful regional wines along with their meals. For dessert, coffee is usually served along with jam, honey, pancakes and delicate pastries called baklava. 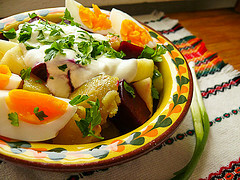 Unlike other cultures, Bulgarian recipes use a lot of vegetables. Typically, recipes include cabbage, peppers, zucchini, garlic and mushrooms. Bulgarian dishes are usually seasoned with paprika, parsley and savory. Some recipes do call for the use of thyme and other herbs. Popular wines include Mavrud, Gumza, and Muskat. In fact, Bulgaria is one of the world’s largest producers of wine. There is another important difference between Bulgaria and other countries. Traditionally, Bulgarians eat their food out of special dishes made from clay. Other cultures in Europe and the world tend to eat food off plates. Today, this tradition is changing as many younger Bulgarians have begun to adopt the traditions from other countries. In many areas of Bulgaria, the tradition of eating out of specially made dishes is practiced only by the older generations. We also carry what would be considered exotic meats in the US, like the soujuk - dried beef sausage or - cured and dried beef strips. Copyright 2011-2012 European Market Deli & Cafe Website Development and Maintenance Advertising For Results, Inc.